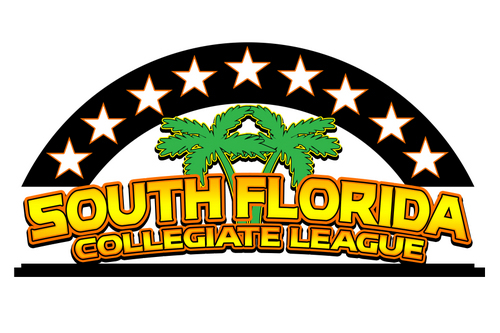 The South Florida Collegiate Baseball League (SFCBL) is a premier wood bat summer league for current collegiate players from across the nation. With 10 teams spanning from West Palm Beach to Fort Lauderdale, the SFCBL is split into two divisions; the North and South where teams compete in a 40-game regular season to secure a playoff spot and ultimately the League Championship. A single elimination playoff begins the last week of July, culminating with a Championship Series between the last two teams standing which concludes by August 1st. Players in the SFCBL get the reps and the rest needed to reach the top of their game as most teams employ professional strength coaches and medical staff. Players spend two months in the SFCBL gathering information and experiences to bring back to their respective college programs and for some into the professional ranks. With teams making constant appearances on Collegiate Summer Baseball's National Rankings, the SFCBL never lacks talent offering each player the chance to develop their abilities while being able to put them to the test against some of the best amateur players in the nation. The South Florida Collegiate Baseball League since starting in 2011 has seen 93 of its players called on Draft Day, while 4 have already made their big league debut. As a 501c3 charity organization, the SFCBL also allows athletes to work within the local community to help youth reach their goals of education and employability. Playing in the SFCBL provides a great opportunity for players to be active within their local summer community, learn from highly qualified coaching, gain exposure to professional scouts, and create life long relationships with teammates all while enjoying a beautiful summer playing baseball in the heart South Florida.